Choosing Brazil to study, develop researches and improve your academic, personal and professional skills is a very wise decision! In addition to attending renowned educational Institutions, you will have the great opportunity to learn about the way of thinking and behaving of Brazilians, surrounded by different environments. Unlike other countries, getting to Brazil may seem complex, but MAPAei works to make this first step in this incredible country easy and welcoming. Especially in Campinas, MAPAei has a structure ready to welcome international students and academic visitors. 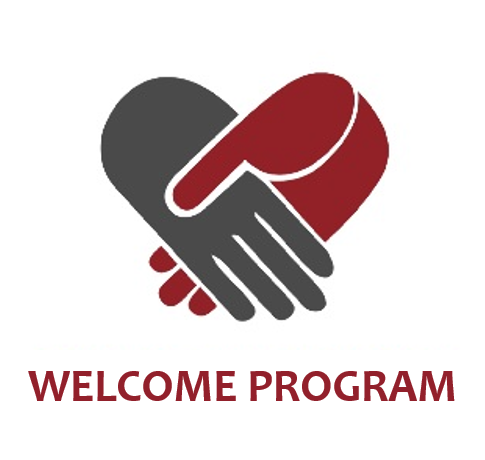 The Welcome Program is designed to introduce and support foreign students to his/her new day-by-day life, by a Brazilian person who speaks English and lives in the city. The student will get to know how to reach the School/ University from his accommodation, where the nearest supermarket is, also the pharmacy, hospital, banks and will get valuable tips about transportation system, telephony, among others. This way, settled and adjusted to the new city, the experience of living and studying in Campinas-SP will be smooth and enjoyable. To make your arrival in Brazil as smooth as possible, we offer a pick-up service for international students. Arriving either at Guarulhos or Viracopos Airport, count on MAPAei to organize your transfer to your accommodation in Campinas. Be safe and sure of paying the correct fee for your journey. Once in Brazil, carrying a temporary visa, you must register at the Federal Police within 30 days to get your residence permit. After this registration, the student will receive a temporary foreign identity card (RNE). In Campinas, MAPAei offers the service of transfer and accompanied visit at the Federal Police. Be ready to make your academic enrollment! In partnership with a specialized professional, MAPAei offers the Intercultural Orientation service which prepares the student for the changes that are to come. Adapting and integrating to a new culture requires emotional and behavioral skills that will be essential to the success and enjoyment of this incredible experience. We help you to find suitable accommodation for your period of stay in Campinas-SP. Rent a Room: be accommodated in individual rooms in homestays or students residences. Suitable for students planning to stay for a short (1 month) or long period. Hostel: indicated to those students staying for a short period (less than 1 month) in Campinas or to those who prefer to become familiar with the city and then decide where to live. Studio Apartment: for students staying for at least three months, preferring to live alone in a furnished place.